What I had not realized then was that all of the books hanging out all lonely on the warped fake oak shelves served their purposes to someone at some point in time and, hopefully, they would get a chance to do that a second time. 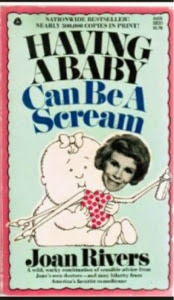 I spotted this 1974 book by Joan Rivers in the small collection of books by comedians. 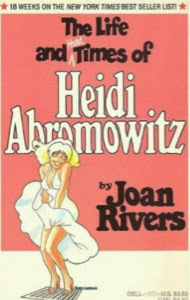 Who knows how long Heidi had been flashing her stuff to people shuffling down the stark white tiled floors of that store? Finally, FINALLY, Heidi had a new home. Like many of you, I love reading books by comedians. I loved Paul Reiser’s Couplehood, Jerry Seinfeld’s SeinLanguage, Bill Cosby’s Fatherhood and Ellen DeGeneres’ book My Point…And I Do Have One that I bought in 1995, among others. I devour books like these. They are not only funny, but they fascinate me. Their wit, their skills and their transparency are sort of intoxicating. 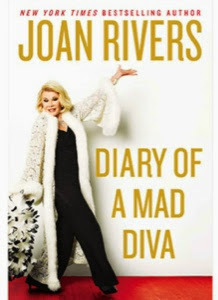 Why did it take me so long to read a book by Joan Rivers? 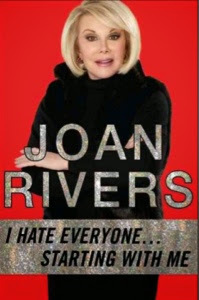 I think it is because I didn’t realize how truly hilarious she was. 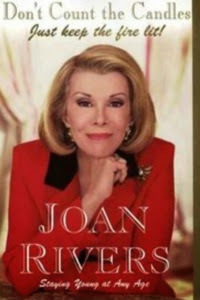 I think that I truly began to appreciate Joan Rivers’ humor when I saw her on The Apprentice. She made me laugh out loud over and over again. She was hilarious off-the-cuff. I still thought she was funny. 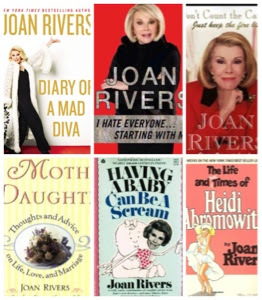 To celebrate Joan Rivers’ life and her talents, we would love to give away SIX of her books spanning from 1987 to 2014. The very funny Rebecca (from Frugalista Blog) and I will randomly pick six winners to receive one of these books until all six are given away using Rafflecopter. It is the easiest way to do it, though we do understand that it’s a little annoying. We will start from the most recent to the earliest work. 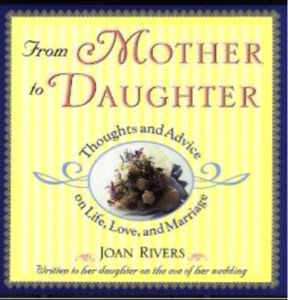 We will pick the winner by next Friday at noon (central time) and will send the book you won out to you right away.